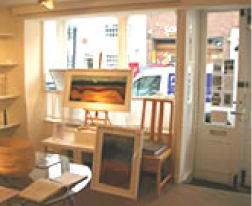 The Stour Gallery is always interested in seeing work by artists. To apply for consideration with a view to being represented in the gallery, please send a number of images in the form of small JPEG's, together with an up to date CV, artists statement and current committments with galleries, studios and arts organisations, for the attention of Sarah Stoten. We receive a high number of submissions, if we feel your work meets the gallery critera, we will contact you and you will be asked to bring examples of your work to the gallery. However, please do not expect a response if your work is not selected. Please fill in the form completely and we will get back to you as quickly as possible.